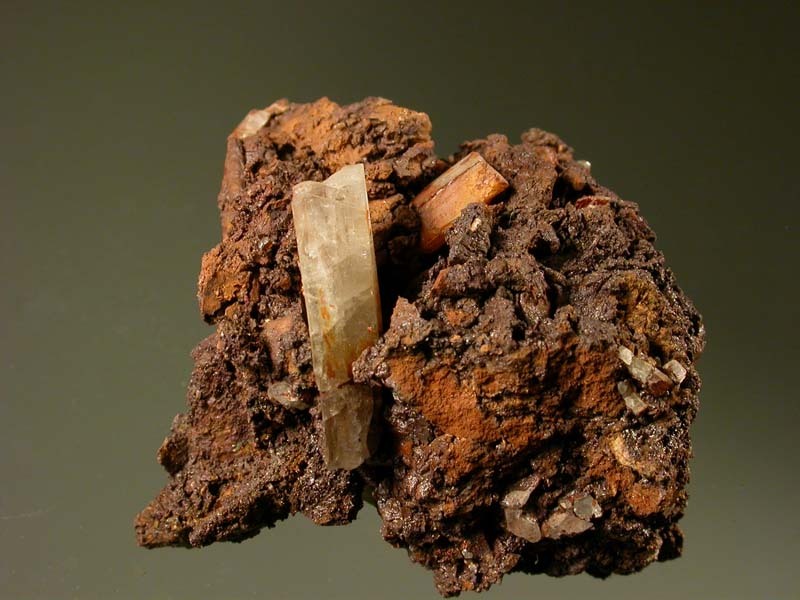 A superb, twinned crystal of augelite is nestled in gossanous, goethite/limonite matrix. There is a small nick out of the side of the crystal but not noticeable, on display. Rock Currier label with catalogue number and all locality information is affixed to the bottom of the piece. 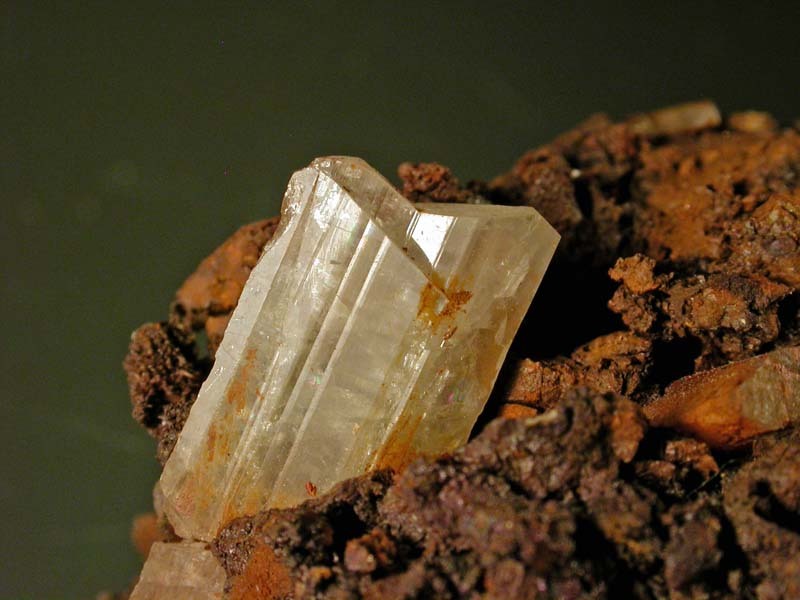 Excellent example of this phosphate mineral!